I’ve already talked about a couple of courses in the West Midlands I played in the summer of 2014 before leaving the area and this is another one in the same part of the world. 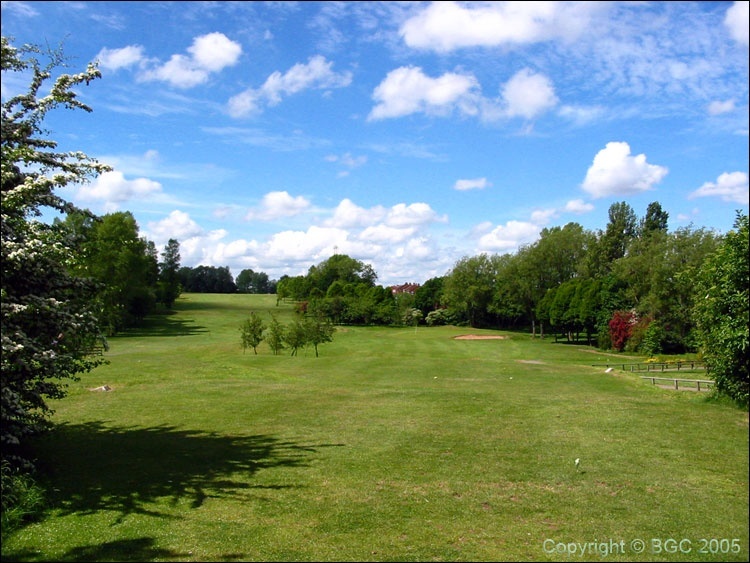 Brandhall Golf Course is to be found quite central in Birmingham far closer in that Lickey Hills that I also played in the city. In fact, it is quite close to the M5 and there is quite a lot of traffic noise on quite a few holes of the course. In keeping with the other courses in the area I have talked about, it is too a parkland course with a number of trees giving you a very good reason to keep your drives as straight as possible. Like Lickey Hills, Brandhall is also a municipal course, although it falls within the jurisdiction of Sandwell Council rather than Birmingham City Council. 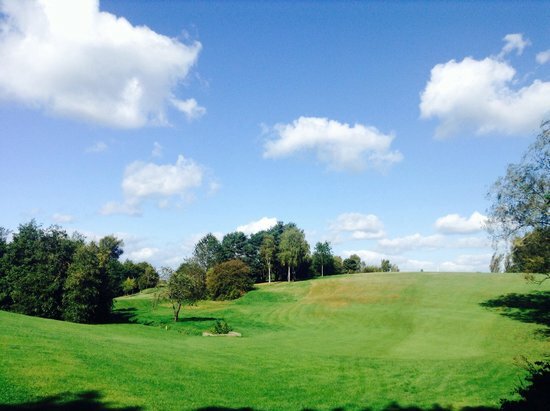 Also like Lickey Hills I booked it on Tee Off Times but I don’t think it really made much difference in price, the main advantage (for me) was being able to book online when the club wasn’t actually open. I had a tee off time which I had booked but there was little order around the first tee. I’m pretty sure a 4 ball jumped in front of me but I didn’t feel comfortable challenging them – they sounded like locals and I was the visiting single ball. So, I eventually got going a good 10 mins after my booked slot. Then it was *hit shot*, *wait*, *repeat*. Then after finishing the 3rd hole and making my way to the 4th I found a young, single male golfer hanging around the teebox. Funny considering I was playing behind a middle aged 2 ball (and as noted I was right behind them). “On you go mate” he says then after I play and make my way to my ball he tees off and is as close to me as possible without actually smashing my head with his iron shots. This continued for two holes until I let the guy play through – I was very much a beginner and wanted to take my time (as far as possible on a packed course) and this young guy was pretty useful and breathing down my neck which didn’t help my concentration one bit. It did definitely grate though – he had clearly “jumped on” the course whereas I had parted with my hard earned cash to play. After I let him go through I only saw him again once or twice so I suspect he just played the nine holes or so furthest from the clubhouse. So, maybe I can’t hold the course responsible for being popular and busy and having rogue players (well they could have someone on a cart checking tickets on the course as I have seen in Scotland) but they could certainly have organised tee off better – despite how busy the course was that day there was no staff near the 1st tee. A quick look over at Golf Shake shows plenty of other similar complaints. When I played there was some renovation going on, putting in a water feature at the 18th. To keep 18 holes in play, the 7th was split into two holes which worked OK. Fair play to them to keep a proper round on offer during construction but it did dampen the experience a wee bit. I’m fairly sure this is the view from the 7th tee (I didn’t take any of my own photos when I played so I am at Google Images’ mercy). The temporary green was at the top of the hill and the temp tee just behind it, playing back down the hill. I think this would be a pretty cool hole in its original state – a par 5 playing over a blind hill down to the green nestled at the bottom of the slope. It is one of those holes where you have to bang a gong type thing when you are done to let the next group play. Apparently the water hazard is now complete and from what I could see, it should make a nice par 3 to finish the round; hitting over a small pond to reach the green. The course itself was reasonably good. It is a decent parkland style par 71 which was quite fun to play when I wasn’t standing waiting for the group in front. I think that if I were to play the course again now the renovations are finished and when it is not crowded I would enjoy it a lot more. From my experience though, I would have to rate it as “worth a round if are in the area and don’t want to spend too much to get 18 holes”. I do hope I have the chance someday to revisit and get a better impression.